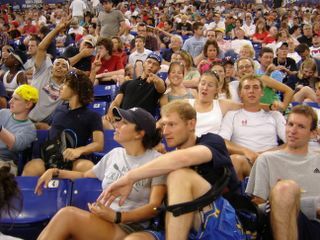 This is the gang at the Baseball Stadium in Minneapolis. It is the first three rows you can see. It was a great game! The Twins won!